This invite was so fun! 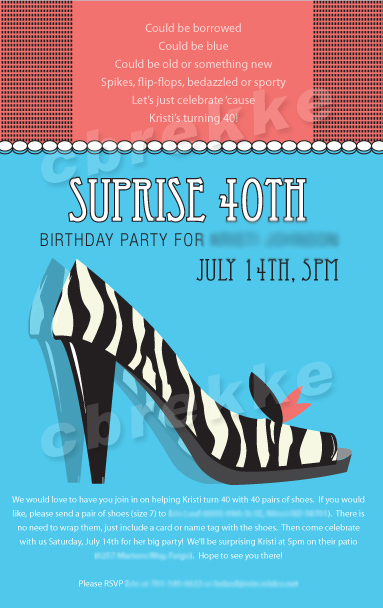 Not only did I get to design a custom invite, I got to design a shoe! (raise your hand if you could totally rock a zebra pump!) What a fun way to celebrate a 40th birthday - with 40 pair of shoes!